Bon Appetit's Editor in Chief Adam Rapoport is sharing recipes and tips from his latest, The Grilling Book, all week long. We'll be rolling out his ideal Memorial Day feast -- one dish each day -- from his go-to steak to the drink in his hand. When you're grilling, you have to keep the drinks simple; you can't be muddling or mixing while you're tending to your steak. For me, that means Micheladas. I love beer on ice in the summer, so this is a great, refreshing take on that. Salt the rim, squeeze a few limes, add some hot sauce -- as much as you can take -- and then drink a bunch of them. This recipe is just one of more than 350 recipes from The Grilling Book, a comprehensive guide to anything you can make with a grill. Adam Rapoport is Editor-in-Chief of Bon Appétit magazine and its website bonappetit.com. 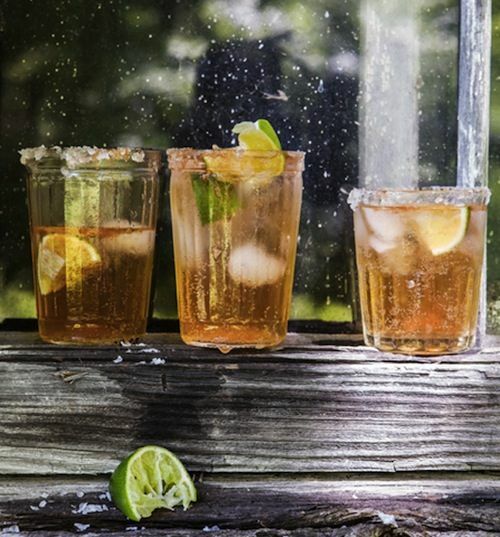 Love Micheladas -- bloody Marys could learn a thing or two from them.